flour on her nose: Om nom nommy lemon "tart" wedges. 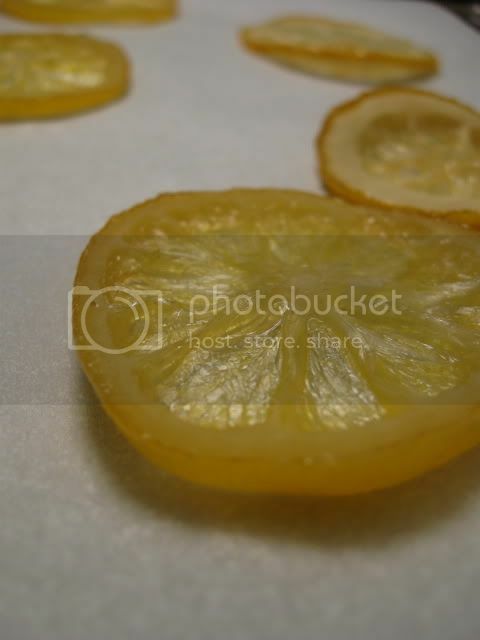 A couple of weeks ago, I found Meyer lemons at the store, and had to use them. After making a couple of cakes (which I did NOT have time to photograph...my family is sooo demanding with their baked goods :P ) I decided on something simple. Except I don't have any square pans. Right, work with what you've got, I always (this one time) say. Right right, on with it, I know. Cream the butter and powdered sugar together. Add the flour and salt until it looks kinda crumby, but comes together. 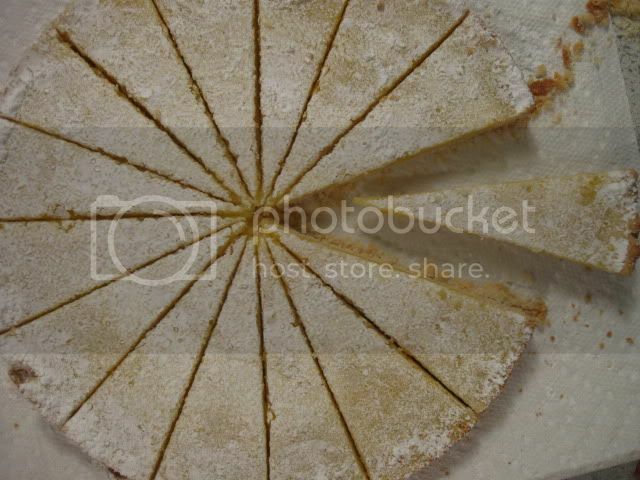 You can use either an 8 inch square pan, or a round pan (I used a 9 inch round), and press the crust down into the pan. Bake the crust for 20 minutes (or until it's golden brown). For the filling, beat the eggs and sugar together. Add the juice and zest and mix some more. Add the flour. Pour the lemon mixture evenly over the crust, and bake for about 20 minutes, or until it's set (you'll tell if you touch it). Once it's cool(and out of the pan), you can either sprinkle it with powdered sugar, or smooth the sugar over the top (making a white layer that looks neat when it's cut into). 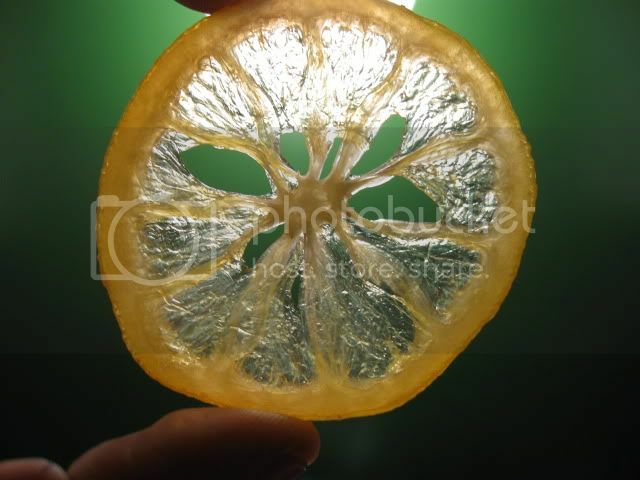 Then you can garnish with candied lemon slices or candied lemon peel. Just boil equal amounts of water and sugar. 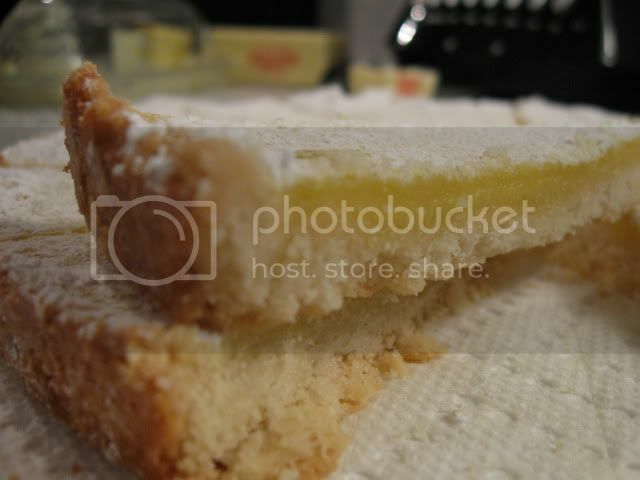 Add the lemon slices and cover. I reduce the heat to just simmering, even though other people say to go up to medium, 'cause my lemons get DESTROYED when I keep it that high. So to be safe, do it over low heat, for at least 30 minutes, maybe more. Keep going until the pith is translucent. After that, place them on parchment paper to dry out. I stick them in a 200 degree oven for a bit, just to dry up some of the syrup, and then let them sit to finish drying. You should go ahead and make a lot, 'cause they're a handy decoration.